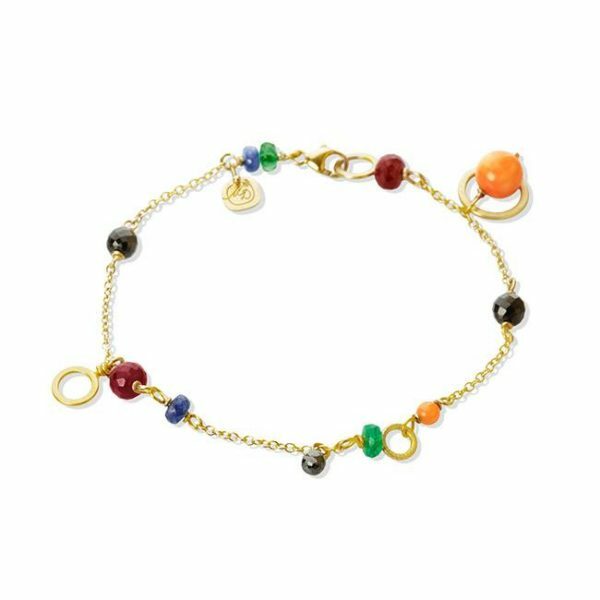 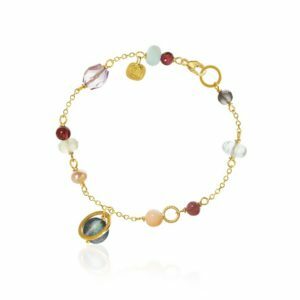 Bracelet in 18 karat gold with coral, spinel, sapphire, black diamond, ruby and emerald. 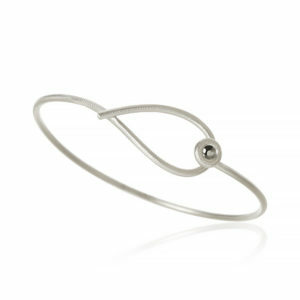 Total 0.30 ct.
Classic, edgy and glamorous jewelry made in Denmark. 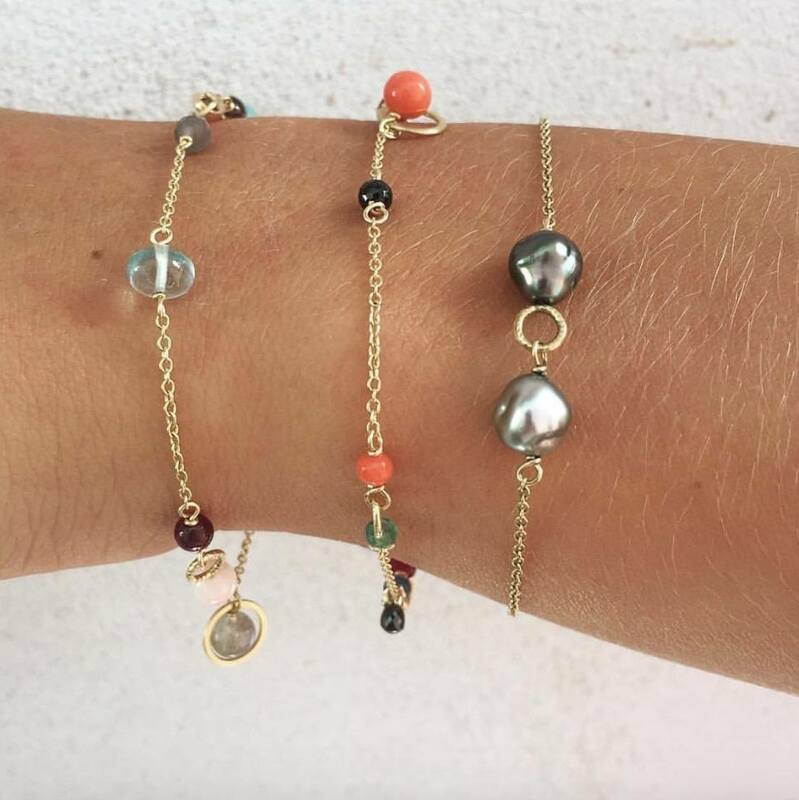 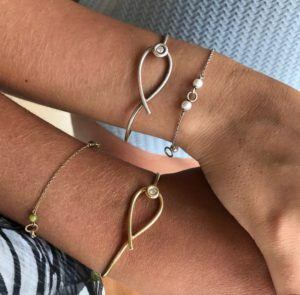 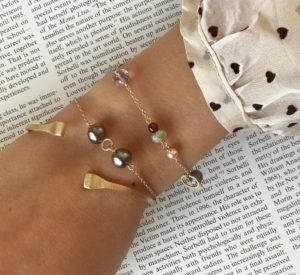 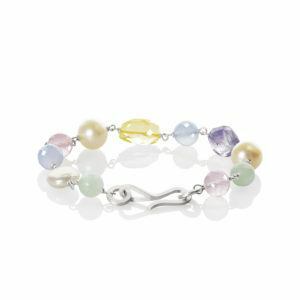 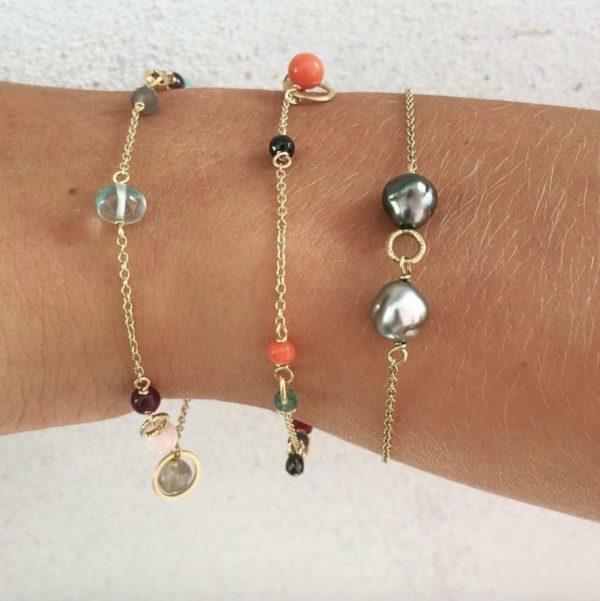 Since 2005, the Danish jewellery company Dulong Fine Jewelry, has created collections of jewelry using the finest materials such as 18 K gold, pearls and diamonds.